This base uses compartments at the top to form a strong barrier and general defenses to protect the bottom. Ground troops have a lot to break through when coming from the top apex and air troops have to fight their way through either direction. 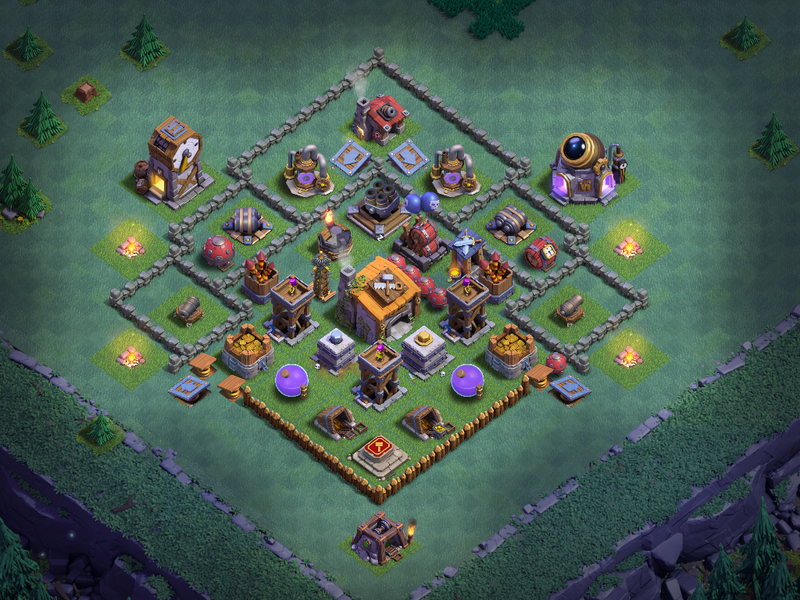 This is one of two base designs that have become very common in recent weeks. 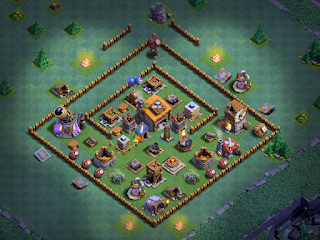 The top is protected through pathing for ground troops and air defenses for air troops, while the rest of the base is just a mess for troops to work through. 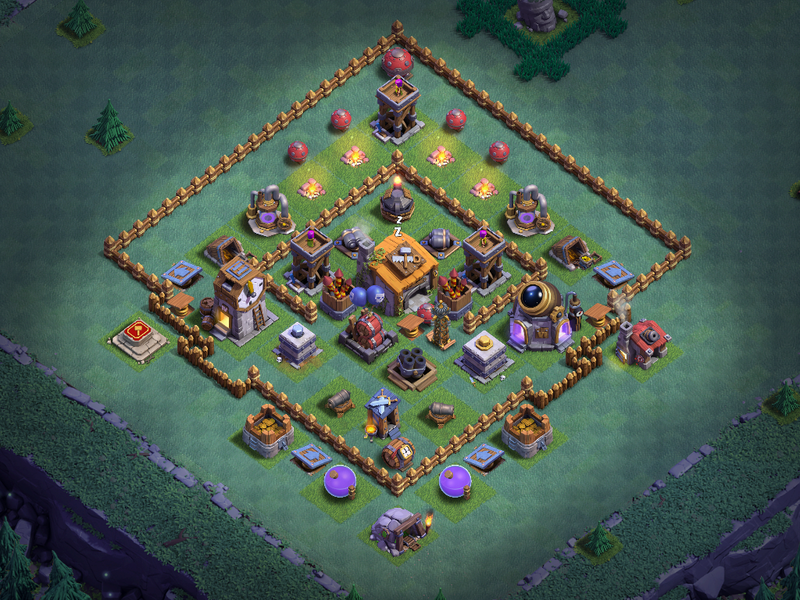 I've had mixed results with this version of the Shrouded Diamond base and have a version where the middle Archer Tower and the AirBombs switch places. 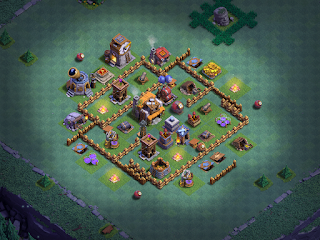 This is the second of two common bases run in the upper trophy rankings right now. It's a southern teaser with a closed shroud at the top. Some versions of the base raise the shroud a block or otherwise open the ends of the topmost compartment. 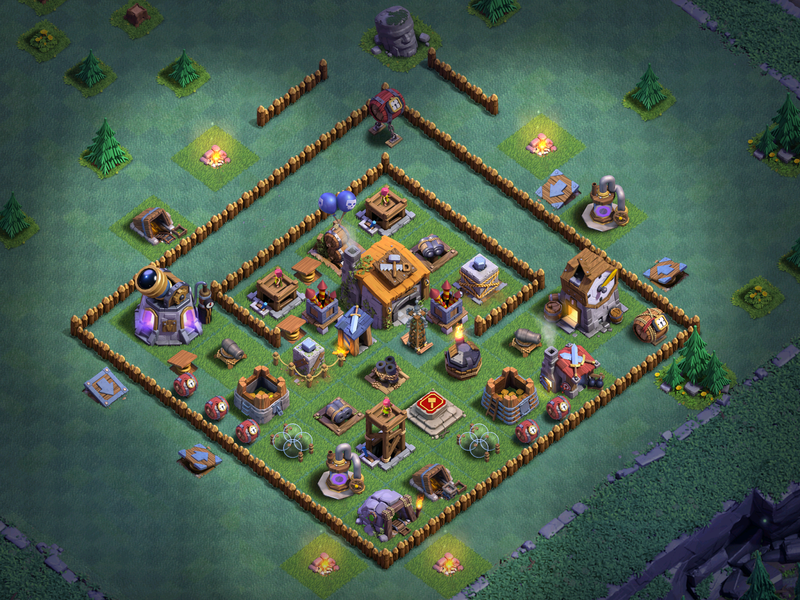 Pathing and air-targeting defense placement are the key to this base's success. It works very well for my early BH6 games. I did a double-take when I first came across this base in the wild. It is a BH5 style diamond base, encapsulated in a box. I found two of these and debated whether to consider them box bases or diamond bases. The second of two BH5 style diamond bases that has been put in a box and moved around with the new items from BH6. 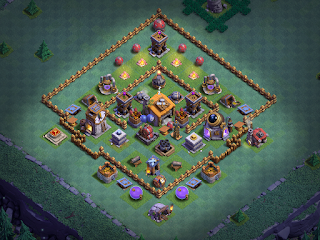 Same basic base design as a diamond, it's just closed so players first have to break into it before the pathing takes over. That wraps our BH6 Base Design series. If you missed Part 1, click HERE to look at boxed style bases. If you're more of a video person, check the video out HERE. Thanks!